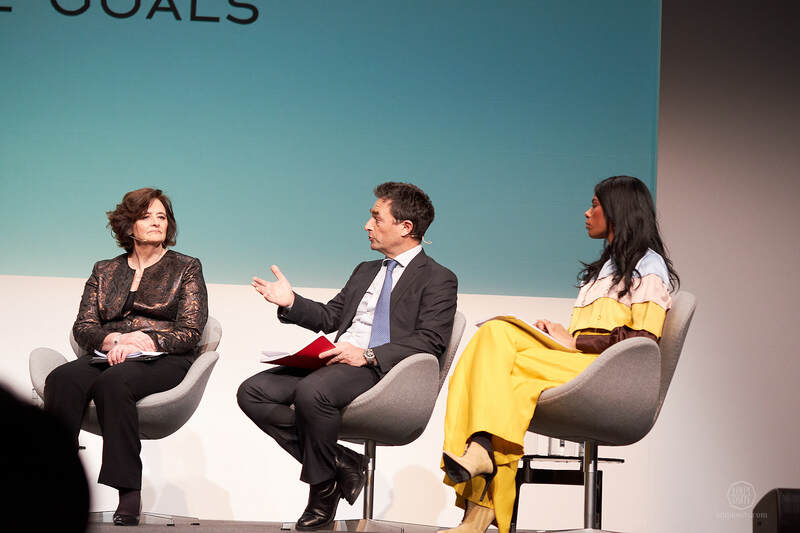 At Baselworld, Chopard took the opportunity to announce a huge milestone on their route to sustainable luxury: by July 2018 only ethically sourced gold will be used throughout their jewellery and watch portfolio. Before exploring the novelties of Chopard, we attended an inspiring talk in Basel with key people in the fight for an ethical supply chain. ‘We believe that the world’s most precious creation is in fact the planet itself and it is our duty to preserve its purity and integrity for the next generations’ – Scheufele family. 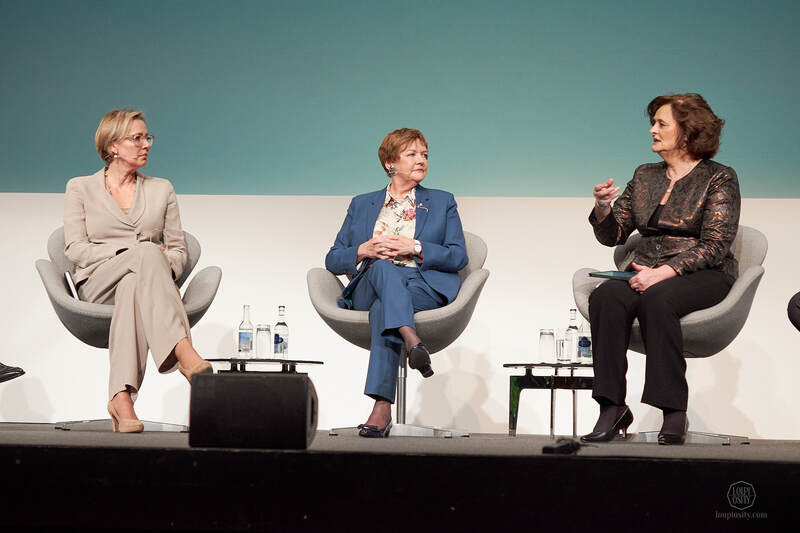 Still not the most popular topic out there, but in the Chopard ‘family’ transparent and environment friendly manufacturing has been an important strategic goal. More than 30 years ago it started with the pursuit for a vertically integrated production (in which the supply chain of a company or at least part of it is owned by that company) and with Chopard’s own foundry. 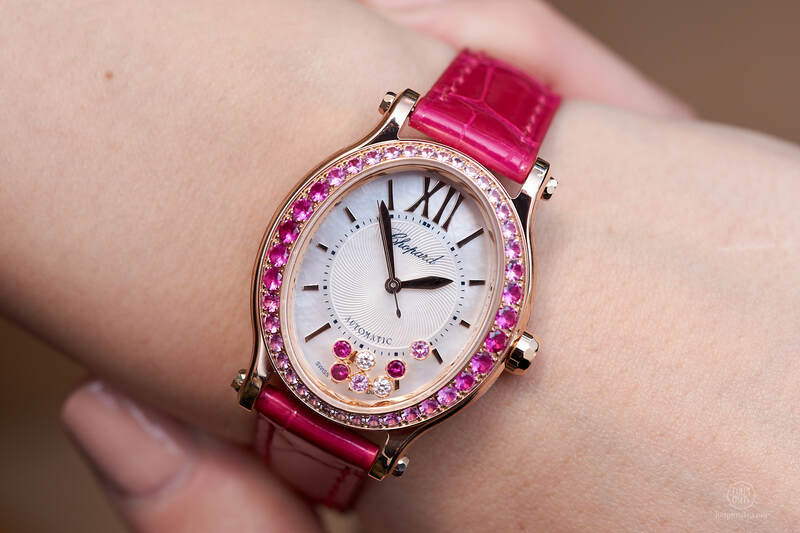 The journey is long and not necessarily easy, but Chopard has been showing a clear commitment especially in the past decade. 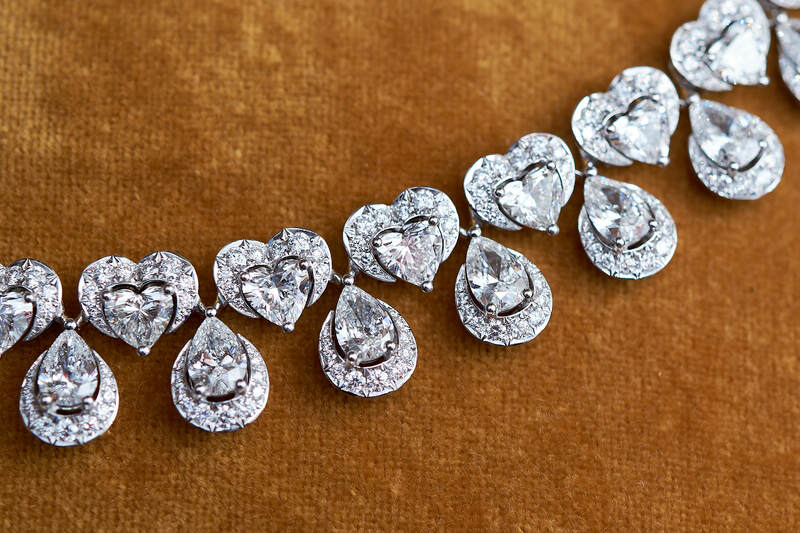 In 2010, Chopard joined the Responsible Jewellery Council, a not-for-profit organisation for setting standards and certifying organisations for responsible business practices in handling diamonds, gold and platinum group metals. Each certified member has to undergo an independent audit by a third party firm in accordance with RJC’s Code of Practices. 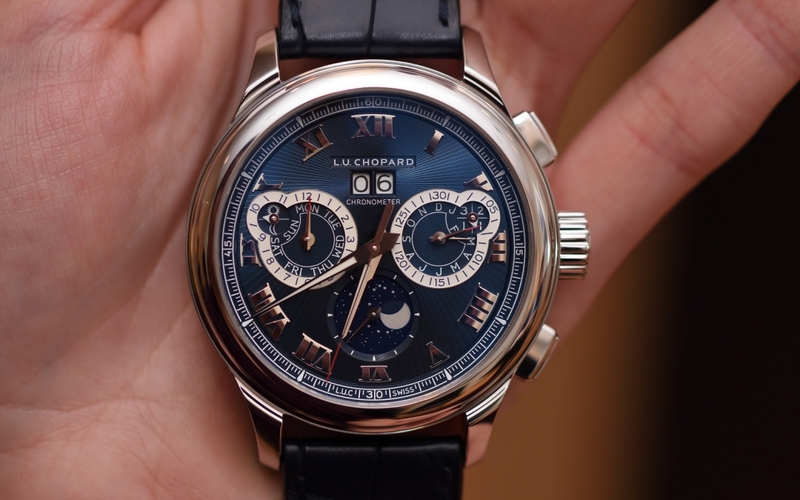 Chopard earned their stamp in 2012. Launched at the 2013 Cannes Film Festival, the company’s Journey to Sustainable Luxury initiative was the next important step. 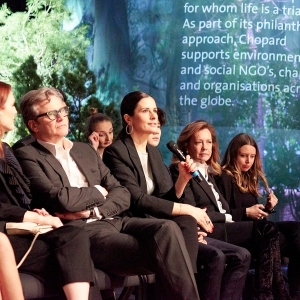 The goal of the program is to raise environmental and social consciousness in the luxury industry. Under the aegis of the multi-year programme, the House in partnership ARM (Alliance for Responsible Mining) has also committed itself to sourcing raw gold directly from mining communities. Creations made purely of such gold are marked ‘Fairmined’. The first wrist watch in the Green Carpet High Jewellery collection came out in 2014. The gold for the pieces in the Green Carpet collection are Fairmined certified, while all diamonds come from the IGC Group NV, the Antwerp diamond company, a member of the Responsible Jewellery Council. 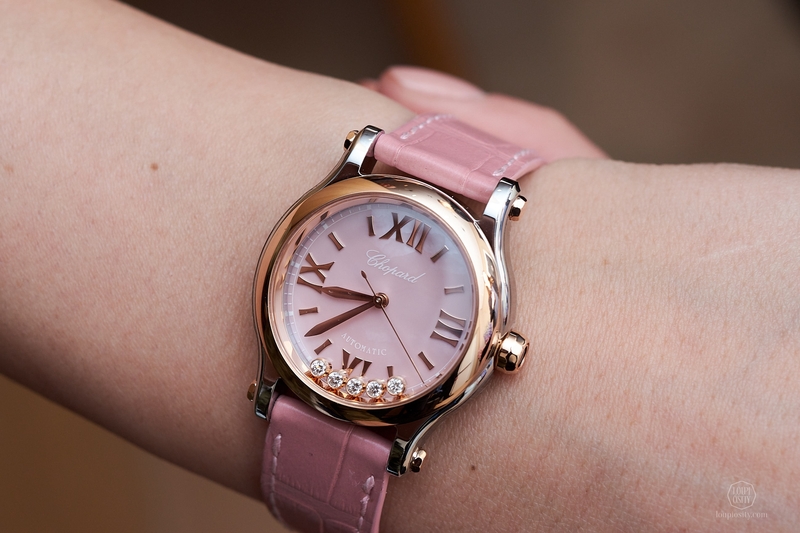 Following the jewellery, Fairmined gold penetrated the timepiece collections. 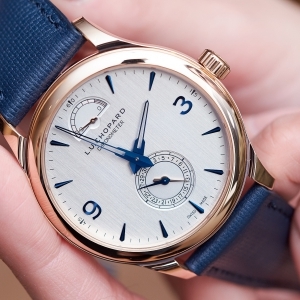 At the 2015 Baselworld show the L.U.C XPS Fairmined was presented. More watches joined the initiative since then. The Fairmined Standard ensures that miners are provided a stable route to market and a fair price for the gold which they produce. The company supports responsible artisanal gold mining cooperatives in Latin America to help them obtain the Fairmined Certification. 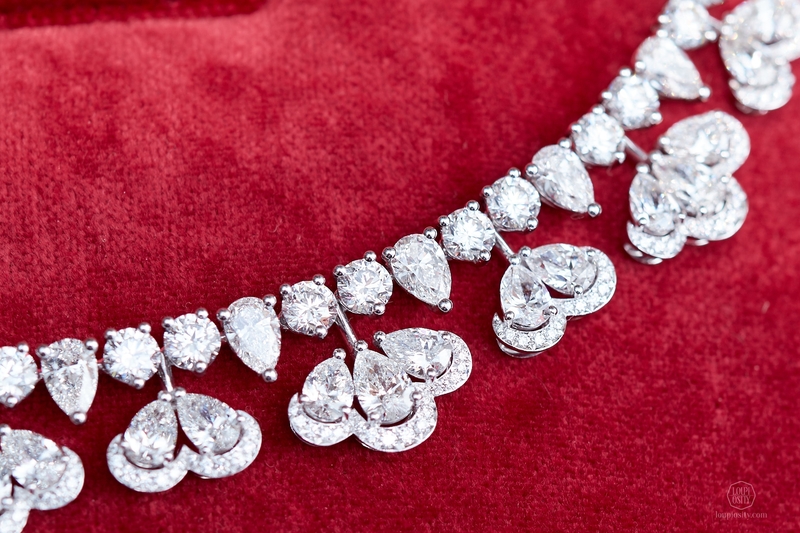 Chopard aims to guarantee the traceability of the Fairmined gold used in-house. The company has set up a specific operational protocol in its Geneva workshops, so that Fairmined gold is never mixed with other gold alloys and even the waste is dealt with separately. In 2017 the Maison joined the Swiss Better Gold Association (SBGA), created by Swiss players of the gold supply chain, from refiners to retailers. Artisanal freshly mined gold from small-scale mines participating in the Swiss Better Gold Association (SBGA), Fairmined and Fairtrade schemes. 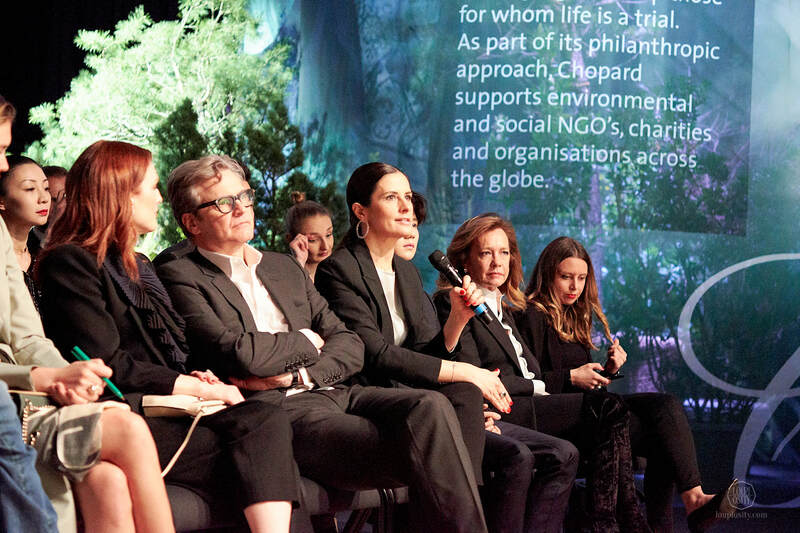 Chopard Co-Presidents, Caroline and Karl-Friedrich Scheufele outlined what drives them towards sustainable luxury and how they could achieve the recent defining move. The gradual preparation of the previous years has been leading up the 2018 announcement, which is something many businesses in the sector would define as suicide from a business perspective. 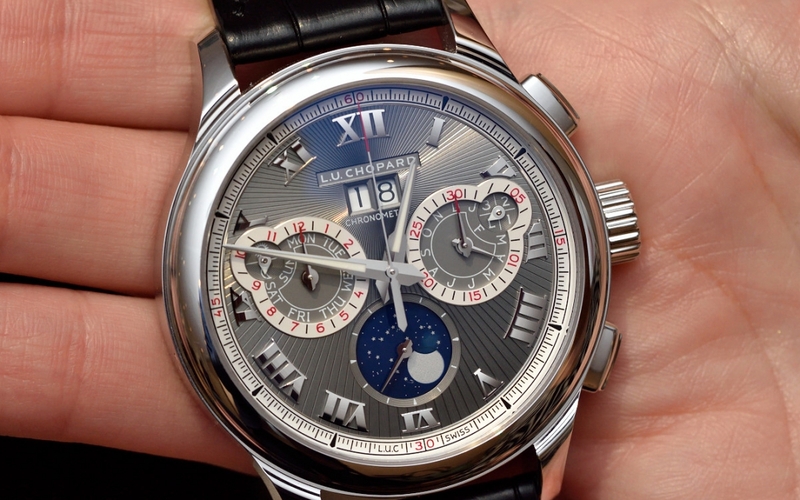 In fact, Chopard believes that this is the only way for luxury to survive. 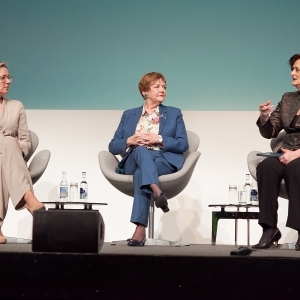 Additionally, customers’ demand for responsible business models behind products has been a growing trend in many sectors and finally it seem to trigger serious changes in luxury. 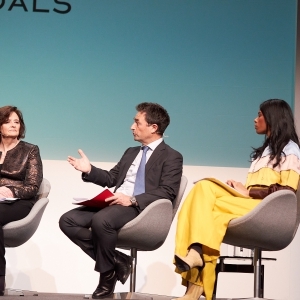 Chopard and Business of Fashion (BoF – the leading digital authority on the global fashion industry, established by Imran Amed) hosted a panel discussion on how the industry can adopt the United Nations’ 17 sustainable development goals and what could the next steps be for companies in the luxury business. 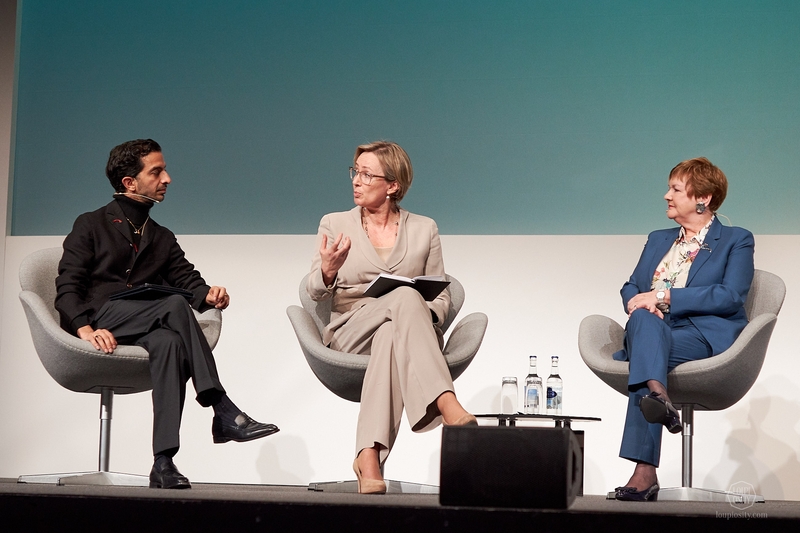 Imran Amed moderated the discussion with guests including Lene Wendland, the advisor on business and human rights in the office of the United Nations’ High Commissioner for Human Rights; Pamela Gillies, president and vice chancellor of the Glasgow Caledonian University; Cherie Blair, a leading human rights lawyer and campaigner for gender equality; Phillipe Fornier, general secretary of the Swiss Better Gold Association and Nöella Coursaris, the founder and chief executive of Malaika, a foundation focused on educating and empowering girls in the Congo. Want to find out more? Why not listen to the entire conversation here? 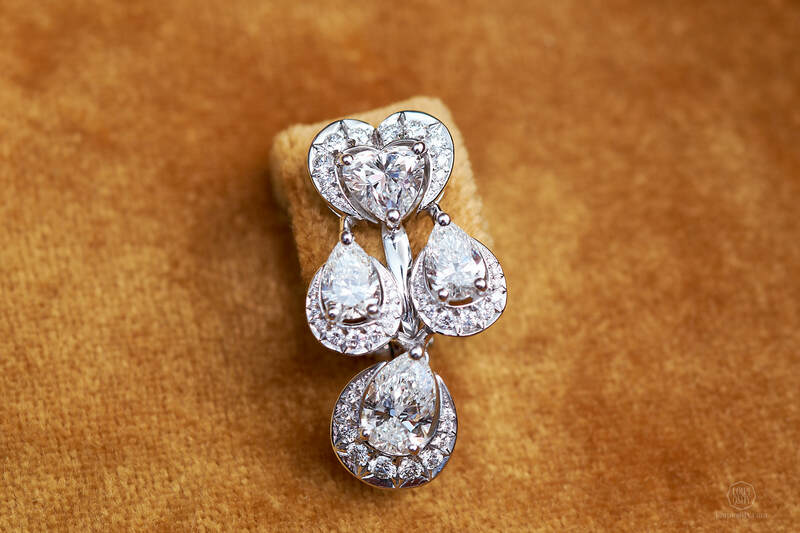 The iconic Happy Diamonds was created by Ronald Kurowski in 1976. 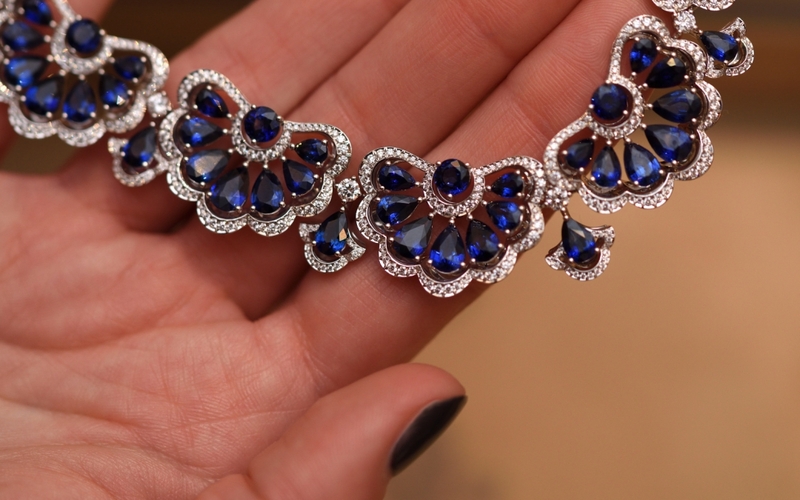 Pieces in the collection had floating diamonds between two sapphire crystals. Caroline Scheufele who is also the Artistic Director of Chopard took the idea further and many models appeared since then. In 1993, she dreamed the playful diamonds into a steel sport watch and the Happy Sport watch was born. The same spirit was embodied in multiple shapes and variations with different colours, gemstones and designs. Even special versions were made such as the Happy Fish, Happy Ocean or Happy Snowflakes. To celebrate its 25th anniversary, the Happy Sport received a new mechanical self-winding movement, the 09.01-C, exclusively developed for 30 mm ladies’ watch cases. 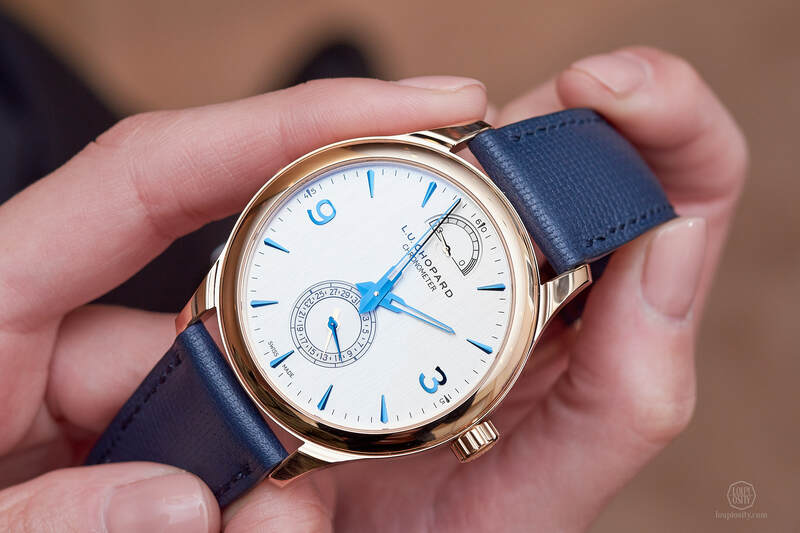 New pieces with a 30-mm case are available in four versions: a blue dial with a gem-set steel case; a pink dial with a steel and 18-carat rose gold case; a white dial with an 18-carat rose gold case; and a white dial with a gem-set 18-carat rose gold case. Another new addition is the Happy Sport Oval Automatic – it has an elongated shape but is absolutely in line with the Happy Sport spirit – elegant, feminine, colourful and joyful watches with moving diamonds or pink sapphires. 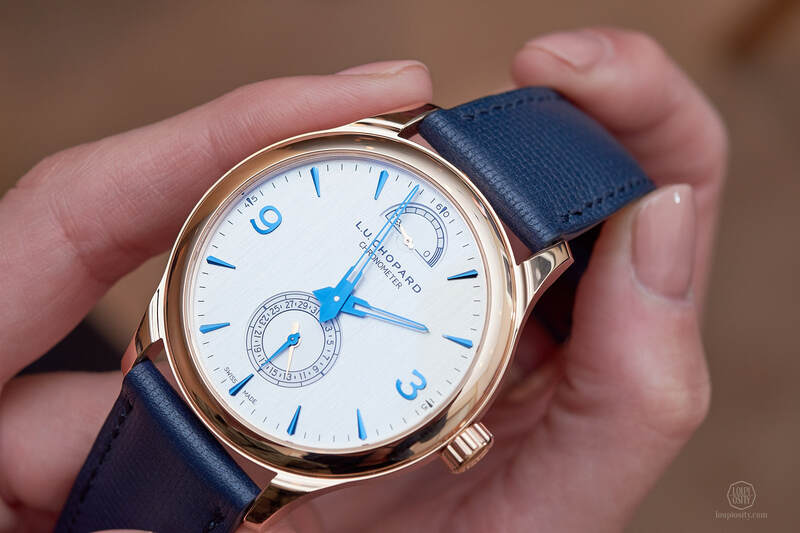 Every year Chopard introduces new pieces in the sophisticated L.U.C collection that bear the initials of Louis-Ulysse Chopard, the founder of the Maison. 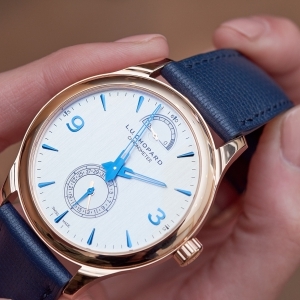 Our favourite L.U.C from this year is the L.U.C Quattro, which measures 43 mm in diameter and is crafted from 18k rose gold. 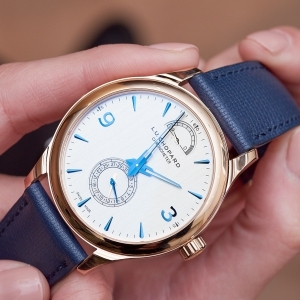 The dial is vertical satin-brushed silver-toned with blue details, complimenting the bracelet well, which is made of woven-effect blue calfskin leather with an alligator leather lining. 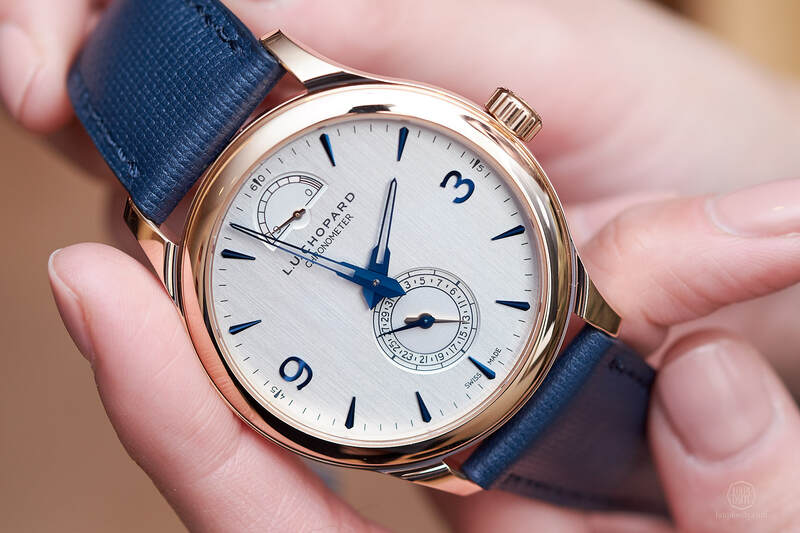 The L.U.C Quattro is powered by the nine-day power reserve, COSC-certified L.U.C Calibre 98.01-L.
Chopard L.U.C novelties at Baselworld 2016 The L.U.C line is the manifestation of Chopard’s top watchmaking skills. In 2016 the novelties included two perpetual calendar pieces and a classic XPS ultra-thin model. Chopard watch novelties from Baselworld 2017 Chopard showcased sophisticated timepiece novelties in the L.U.C and Mille Miglia collections at Baselworld.